Planter Helper Mod 1.12.2/1.11.2 has helped the players to save their time when planting the seeds for their crops in Minecraft. Have you ever feel bored when accidentally jumping into your seeds when planting the field after harvest? If yes, Planter Helper Mod is an amazing mod to solve this problem. It provides new and unique treasures named “Planter”, your seeding time will shorten as you unpredicted. Basic Planter will plant the seeds with the size of 3×3 blocks (setting Seeds into the right side of Basic Planter on the frame where we put items). Advanced Planter will plant your seeds with the size of 9×9 blocks (setting Seeds into Advanced Planter by holding Shift and left click to it). 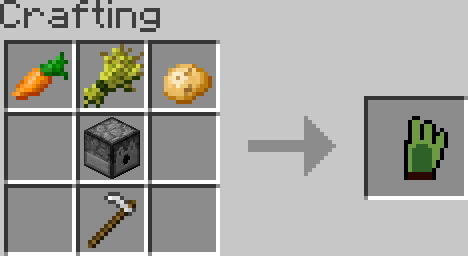 Vein Planter will work until all the blocks have connected with each other on the fields by planting or seeding completion (putting Seeds into Vein Planter by holding Shift and left click on it). Remember that Vein Planter needs to use Hunger. Put Planter Helper.jar file into mods folder and then run Minecraft. Done!